The Parallax Tactical Gen 3 15” Free Float Super Slim Rail (FFSSR) is a single piece, aluminum foregrip for AR platform rifles. 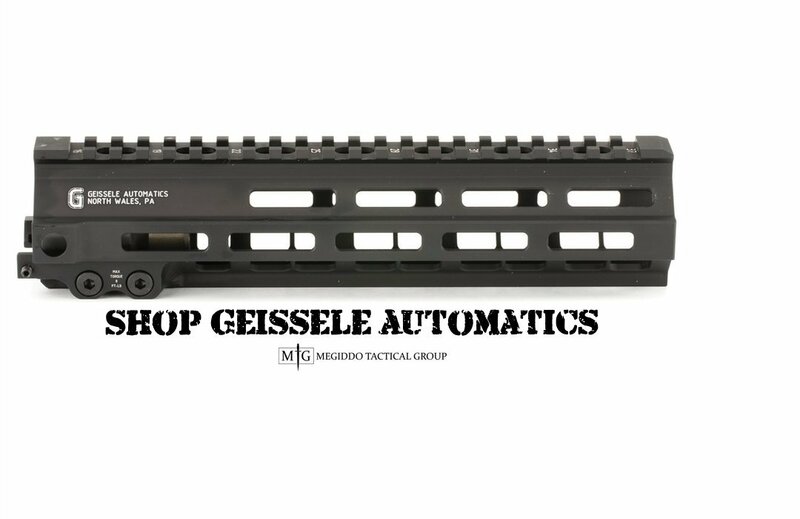 This handguard offers one of the slimmest profiles on the market. If you are looking to upgrade your AR with a slick new forend, then the FFSSR from Parallax Tactical might just be what you are look for. The slimline FFSSR places rail sections in all the key locations. In other words, it has rail where you need it, not where you don’t. The entire top section of the guard is picatinny rail, providing the user with the real estate to mount an optic, backup sight, PEQ-15, etc. All of the stuff you typically need top rail space for. The front section has additional picatinny railing on the bottom and left and right sides. Here you have rail sections for a light, laser, bipod, or whatever other contraption you might want to mount. This forward quadrant is normally where all of your goodies are located on your AR platform. You want to be able to hit all of your switches, bells, and whistles while maintaining a good firing platform, so that’s where everything winds up. The right and left sides also have limited rotation QD ports behind the rails. This is a perfect addition because it’s right where I normally attach my QD sling swivel. Where you typically don’t mount anything is on the middle section of your forend. That’s where manufacturers of rail cover make their money—covering up that useless section of quad-rail and giving you something to grab on to besides the sharp railing of your handguard. It is in this section where the FFSSR really shines. Instead of more railing, Parallax has slimmed things out and left us with a nice smooth section that we can get a grip on. Of course, just eliminating the railing would leave us all feeling empty inside, so Parallax added MagPul M-LOK compatible mounting slots along the middle section. The added versatility of the M-LOK system affords the opportunity to customize your forend as needed without having the extra weight created by unnecessary railing. Best of all, you can throw on the Megiddo 4-Slot M-LOK Covers from Black Sheep Warrior (shown in the photo below) and keep your slimline appearance while adding functionality and style. The rear section of the FFSSR has picatinny rail on the bottom section, as well as two more limited rotation QD mounts on the sides. The addition of a single picatinny rail on each side gives you the option of using other sling mounts, such as the Magpul RSA. What more could you ask for? The Parallax Tactical Gen 3 FFSSR weighs only 17.8 ounces. This thing is as light as it is functional. Of course, it’s not a titanium, air-weight competition forend, but for a combat-functional handrail, the weight of this one is hard to beat. I definitely fell in love with mine and can’t wait to include it on my new build. The Parallax Tactical Gen 3 15” Free Float Super Slim Rail retails for $199.95. Visit the Parallax Tactical website to see more excellent products from this San Diego based company. Love that slimmed middle !